Sound hokey, I thought so too until I learned from my experience and coaches. 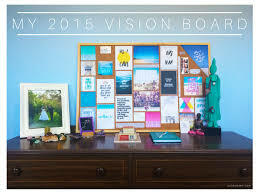 A Vision Board is just putting your goals and dreams on paper and looking at it every day. Your dreams and on paper are key. Don’t get me wrong, I’ve always set professional goals. Less often personal goals. These goals were sometime imposed by bosses, never hand written and never did I allow myself to listen to my body and dream. Our business introduced Della and I to Vision Boards. 2018 will be the second year we’ve held a session in our home. It’s important to set aside time to dream. 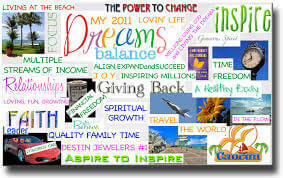 Your dreams are what you should put on your vision board. Don’t let your intellect tell you what’s possible, let your dreams tell you what will make you happy. Conversely, it’s always good to record what scares you too. The thing about that is not to record your fears but the opposite. For me, I have been worried about paying month end bills. My fear had been that I wouldn’t be able to provide the lifestyle my wife and I enjoy throughout our retirement. My goal for this year will be financial abundance. It’s always necessary to state your goal in the positive manner. Why, well no matter your beliefs, I’ve experienced that what you think, affects your actions and becomes your outcome. Stated another way, whatever you put out to the Universe you get back. Yet a third way, if it’s God’s plan. Focus on the goal not the obstacles. No matter the size of the goal, focus on it. Don’t focus on the lack that you think may stand in your way. If you focus on the goal, you’ll find a way to overcome each obstacle. That leads to the next point. Focussed energy creates powerful results. Your goals must be in front of you every day. You have to see them, remind yourself of what’s important to you to avoid the thousands of distractions you will encounter. You have to be aware of conflicting beliefs. If you have a goal of financial abundance and spending more time with your family those goals may conflict. You”ll need to negotiate with your family or customers to achieve both. Visualization is great for reinforcing that your goals are attainable. I understand that if you visualize an event that your mind is effected just as if you were at that event. I’ve learned from our coach Eddie LeMoine that our thoughts create our actions, our actions create our outcomes. Imagine the outcome in the present tense. For example if you have a weight loss goal, imagine yourself at your target weight and what you’ll have to become to be at that weight. Think about how good you’ll feel, how you’ll look, what clothes you’ll need to buy, what exercise you’ll be doing, how you’ll eat. Another weight loss tip. Don’t set a specific weight goal, set a goal of the number of kilograms your going to lose. If you set a goal of losing 5 kgs you’ll likely gain then lose those 5 kgs ending up where you started. If you set a goal of reaching 50 kgs weight, your mind will cooperate and your goal is attainable. Your goals must be hand written and on paper. 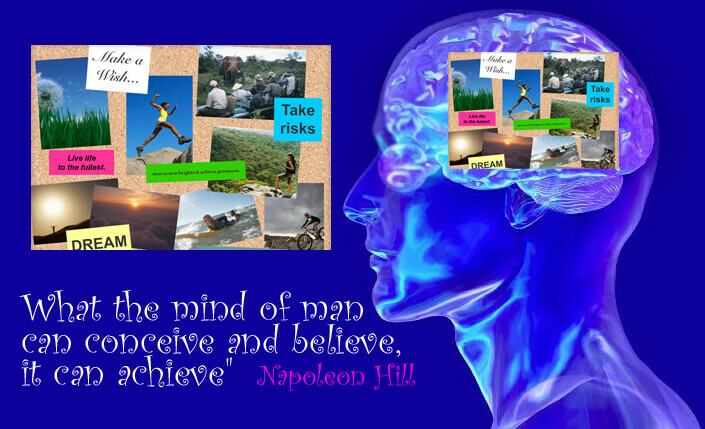 It seems your mind connects when you write them out first then create a Vision Board. I used a computer program last year, not this year. My vision board will be on paper although I will likely take a photo and put that as my computer desktop. 10. Another coach tells us that we must limit our goals to 3. She believes that keeps you on point and avoids distraction. I’m behind her on focus but the number concerns me. I’m suggesting you set attainable, meaningful, reasonable goals. I think more than 10 is too much, 3 may be to little. 11. Finally, you have to become receptive. You do deserve to achieve your goals. You do deserve compliments on how you look. You deserve what you desire. Put the work in and be receptive to the results.